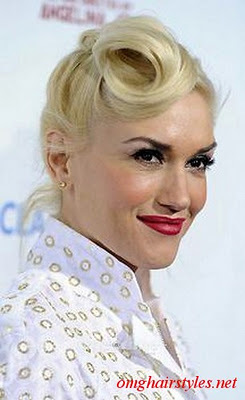 Gwen Stefani has got a funky hairstyle with twists which is a great way to style the hair for a party. To get a similar style, first divide the hair into two sections one at the top and one at the bottom. Next brush top half of the hair to one side of and twist it into a roll. Pin the ends using bobby pins and secure the roll near your forehead. Take bottom half of the hair to create a French twist and secure it with hairpins. 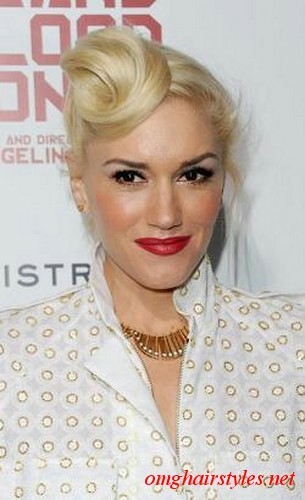 At last spritz all over the hair with a strong-hold hairspray to get into the look.